Fondant is a type of cake decorating icing that is comprised mostly of confectioners’ sugar and gelatin. It’s much like a chewy, creamy sugar paste. 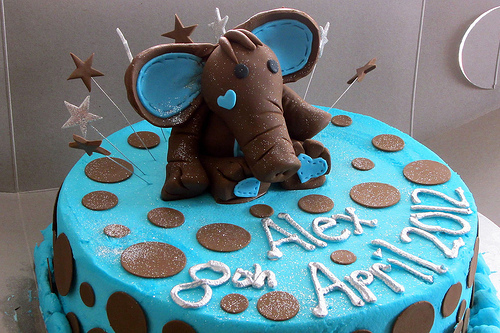 Fondant is very popular with cake decorators because of its versatility and smooth, silky appearance. While it can be pretty difficult to get a perfectly smooth finish with a spatula and regular frosting, fondant makes the job much easier. 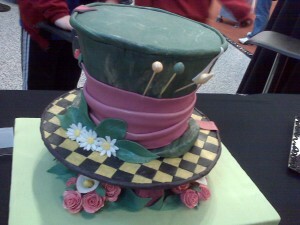 Besides its main use for covering entire cakes, fondant can also be used for covering cookies and cupcakes. 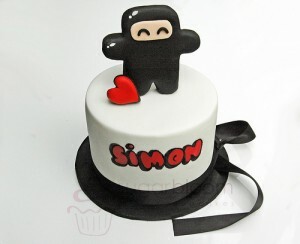 Fondant can also be shaped into edible shapes and figures. 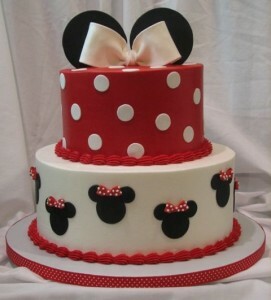 When used for cakes, fondant tends to seal in freshness and is popular for weddings and outdoor events because the cake usually holds up better during hot or humid conditions for short periods of time. 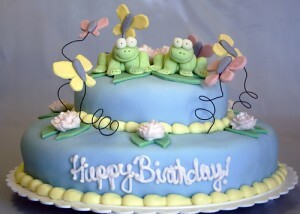 You can find ready-made fondant online and at many cake decorating stores. While this option is less time-consuming, most people agree that the store-bought variety is also less tasty. 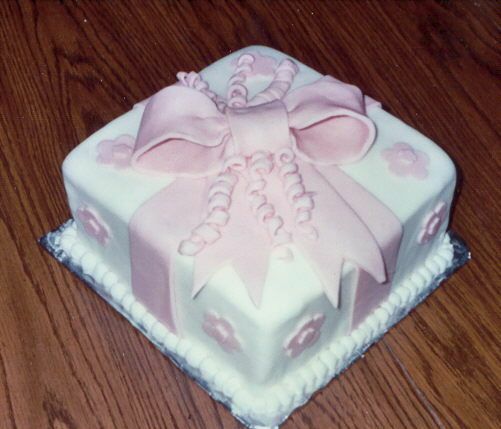 If you’re facing a time crunch and understand that most people will peel off your fondant so they can eat your cake, buying ready-made fondant might be a good choice. However, if you have some extra time and would rather have people eat your entire work of art, it’s probably worth it to make your fondant from scratch. Mix together the gelatin and cold water in a medium bowl and let the mixture stand. Once it starts to thicken, transfer the mixture to a double boiler and stir continuously over medium heat until the gelatin is completely dissolved. Now, add the corn syrup and glycerin until all ingredients are completely mixed. Stir in the shortening and right before it looks like the shortening has completely melted, remove from the heat and stir in the vanilla. 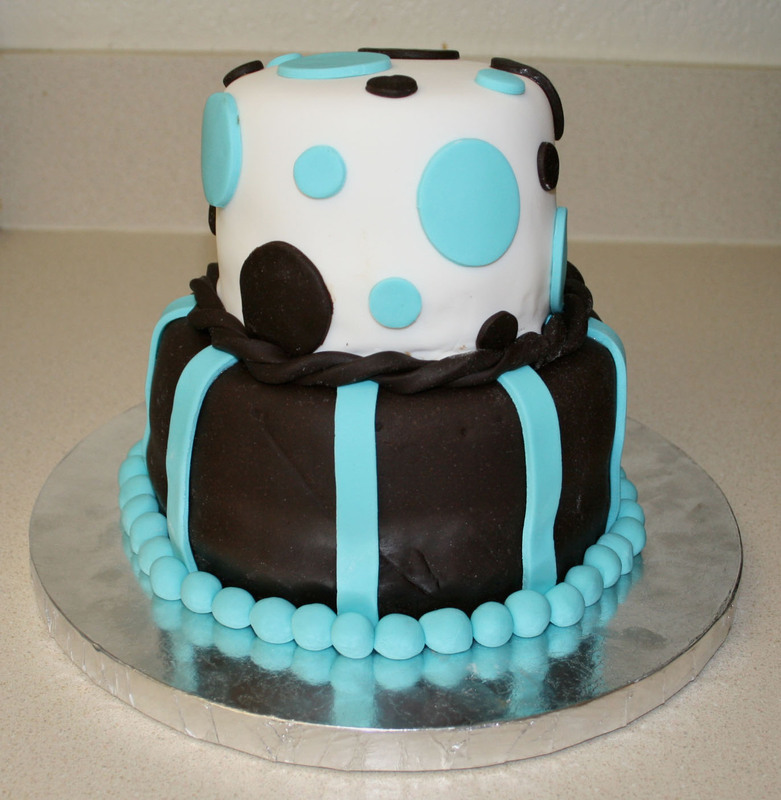 If you want to color your fondant you should add that with the vanilla. You can also substitute different flavors for the vanilla. Now, let the mixture cool until it reaches about 90 degrees F.
Once the mixture has cooled, place 4 cups of the confectioners’ sugar in a large bowl. Using a wooden spoon, make a well in the center of the sugar and pour the mixture in the center. Gradually pull the sugar from the edge of the bowl into the mixture until it all becomes incorporated. If the mixture seems extremely sticky add ½ cup sugar at a time. Spread a layer of shortening onto your work surface and transfer the fondant so you can start kneading the mixture by hand. 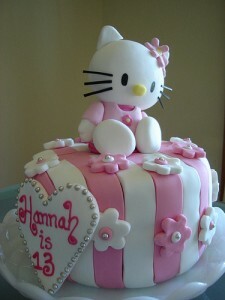 You want to knead the fondant until it feels smooth, workable, and doesn’t stick to your hands. If you think it feels too soft, add more sugar. If it feels too stiff, add one drop of water at a time. 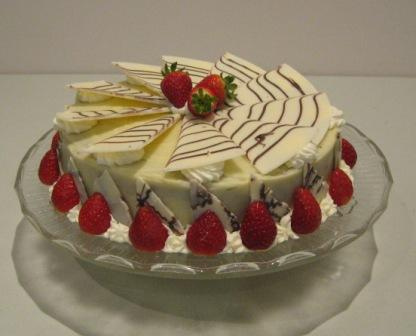 You can use the fondant right away or store it in an air tight container in the refrigerator. Make sure whenever you’re ready, that the fondant is brought to room temperature and kneaded until it’s soft and pliable again. 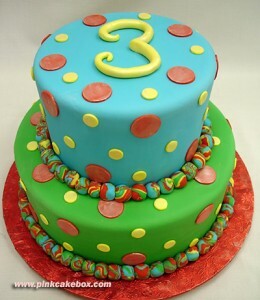 Your fondant is now ready to be rolled and placed onto your cake.